Bloodshed has returned to Muslim-majority Kashmir, which is partitioned between India and Pakistan. Muslim leaders, and spiritual Sufis in particular, must be constantly wary of the penetration of Islam by trends that seek to increase instability in such difficult situations. 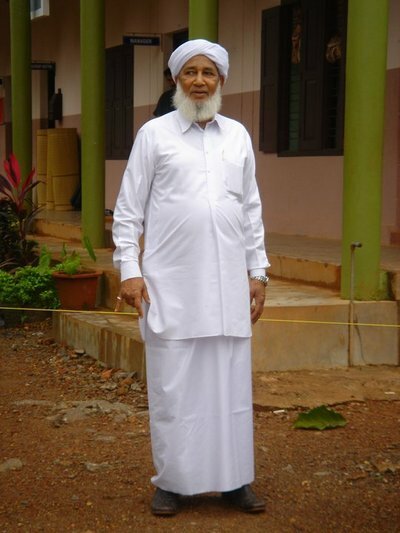 Sheikh Aboobacker Ahmed of Kerala. In south India, Muslims have established educational institutions and charitable foundations that endorse secularism and an Indian patriotic spirit. They continue to promote interfaith harmony and intercommunal cooperation. The Sunni Markaz, founded in the southwest Indian state of Kerala by the Sufi sheikh Aboobacker Ahmed, works for the rehabilitation of disaffected jihadi youth from the war-torn Kashmir valleys, encouraging them to feel patriotic as Indians. Educational institutions following the ideology of Sufi Islam are integral to preservation of positive interreligious relations and options for dialogue. In general, the discussion of Sufi Islam in India has assumed a new approach. Sufis follow the pluralist precedents in Sunni Islam. India is defined in great part by the legacy of Sufi saints throughout the country. 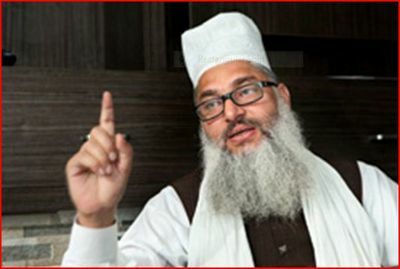 Maulana Syed Mohammad Ashraf Sahab Kichowchhwi of the All India Ulema and Mashaikh Board. The current ruling party - the Bharatiya Janata Party (BJP) of prime minister Narendra Modi - has been criticized as Hindu-centered and antithetical to the Indian "secular space" in which the Sufis are located. A World Sufi Conference was held in New Delhi, India's capital, on 17-21 March 2016, organized by the All India Ulema and Mashaikh Board (AIUMB) and financed by the state. Some Muslims have criticized this event as unjustifiably linking up with the BJP. In rebuttal to such a criticism, a social media post asked, "How many of you are ready to stop receiving government aid for Muslim education?" In addition, a common platform is necessary to defeat the global threat of terror groups like the so-called "Islamic State" (ISIS). We must stand together, above factional and sectarian differences. Representatives of the Sunni majority among Muslims must call on all humanity to condemn atrocities committed in the name of Islam. Traditional Islam and Sufism specifically have, throughout their history, maintained the principle of living with the amazing diversity of India and other countries. This concept of mutual respect between religions has persisted in the development of Sufism. Sufi saints in India were viewed as protectors, even of the oppressed Hindus. Networks established by early Sufi saints in India demonstrated their fidelity to the Islamic concept of peace between differing systems of belief. More than anything, the networks of Sufi saints such as the 12th- and 13th-century CE figure Moinuddin Chishti contributed substantially to the growth of Islam in the country, supporting the Indian Sufi legacy. In the continuity of traditional Islam, the majority of Indian Sunni scholars argued for coexistence with the other faith communities, while recognizing that fundamental disagreements could be dealt with through peace and understanding. This attitude found an Islamic context in the example of Muhammad, peace be upon him, who was asked about socially-beneficial endeavors preceding his prophethood, and who answered that if disbelievers were to ask for him to settle such matters, he would do so. The peaceful tradition of Sufi Islam has been present all across India. Indian Sunni scholars have argued against fanatical interpretations. Extremism, however, has unfortunately recruited thousands of people to militancy and carnage in furtherance of radical Islam. Sheikh Zainuddin Makhdoom, a Sufi theologian living in Kerala in the 16th century CE, called for Muslims to join hands with Hindus to defend the nation against colonialism. This meant surpassing the fiqhi jurisprudential tradition, as there was no perspective in Islamic law for alliance with disbelievers against a common enemy. As Muslims through India's history lived peacefully with other believers, we should carefully observe the vision of Sufi Islam as one of mercy, inherited from the prophet of Islam, Muhammad himself. It is often said that he forgave every personal attack he suffered from enemies and never became angry for personal reasons. When he conquered Mecca, the territory of disbelievers who constantly harassed him, he proclaimed, "Follow in your path, for you are free."